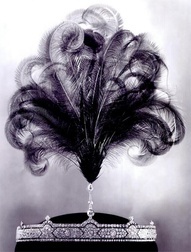 Aigrette: An ornament or piece of jewelry in imitation of a plume of feathers; a spray of gems worn on a hat or in the hair. Amphibole: Any of a class of rock-forming silicate or aluminosilicate minerals typically occurring as fibrous or columnar crystals. Anhydrous: Absent any water molecules. Hardness: The resistance of a material to scratching; gemstones are graded on hardness according to the Mohs Scale of mineral hardness. Inclusions: Foreign materials (solid, gas, or liquid) trapped within a gemstone during its formation. Luster: The appearance of a material's surface in reflected light, as determined by the quality and quantity of light reflected; evaluated by noting the sharpness of the image that a light source creates on the surface of the gemstone and the brightness of the area surrounding that image. Mohs Scale of Mineral Hardness: Based on the ability of one natural substance to scratch another, this is the hardness scale used to grade gemstones. Ten minerals are used to grade the hardness of gemstones using this scale, from Talc (softest) to Diamond (hardest). 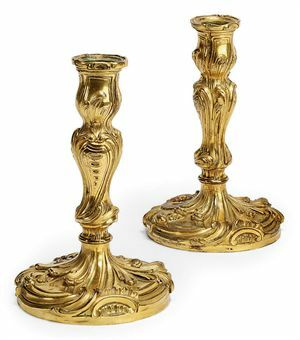 Ormolu: Powdered gold mixed with mercury used in gilding. 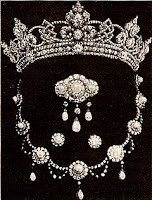 Parure: A matching set of jewels, most often including earrings, necklace, and a bracelet and/or brooch; sometimes including a tiara or headdress, depending on the time period. Porphyry: A hard igneous rock containing crystals of feldspar in a fine-grained groundmass. Pyroxenes: Any of a large class of rock-forming silicate minerals, typically containing calcium, magnesium and iron and typically occurring as prismatic crystals. Toughness: A mineral's ability to resist fracturing, chipping, or breaking. Undercutting: When softer grains in a rock grind down faster than harder grains, resulting in a pock-marked effect, or "orange peel effect."